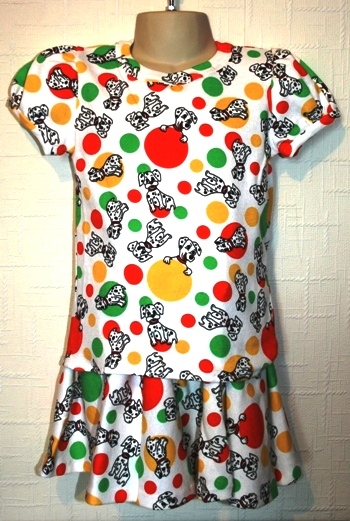 A hand made, girls outfit, consisting of a t-shirt and full skirt, made in a quality, jersey fabric, with a fun dalmation pattern on it in bright, summer colours. 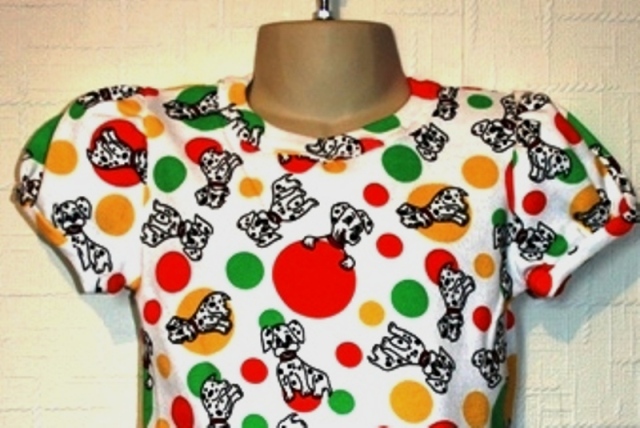 This is an easy to wear item and is fully washable, ideal for summer days. 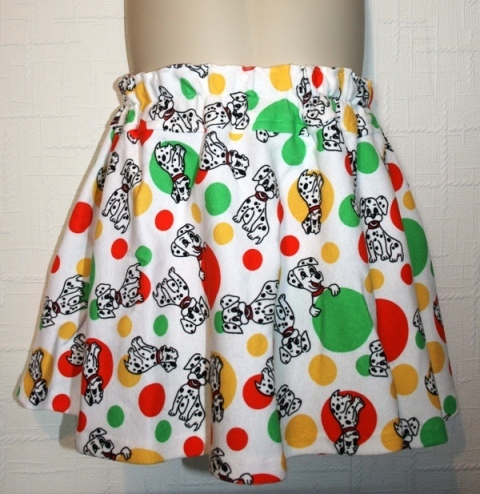 The skirt has a fully elasticated waist and is a full style. It can be worn as an outfit or as seperates.